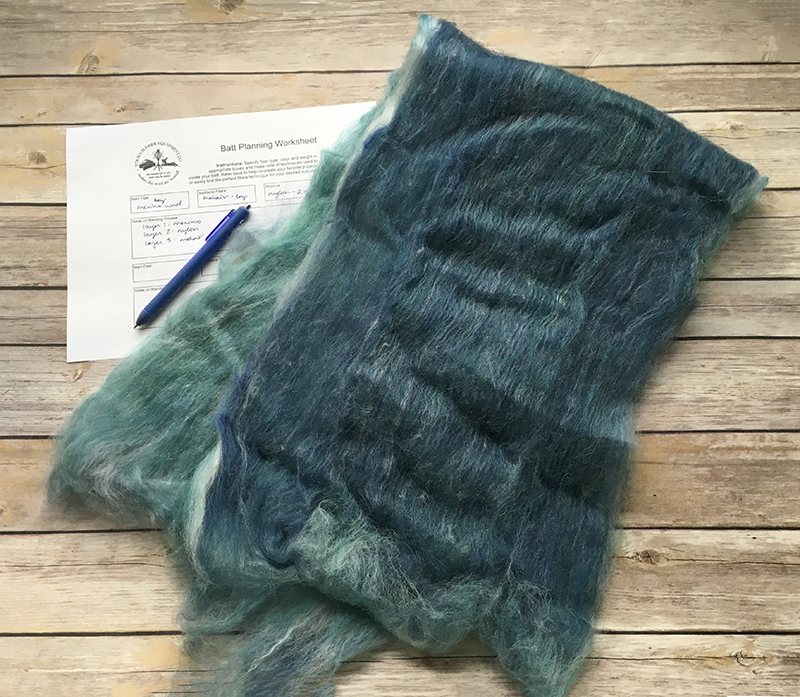 Have you ever wanted to keep better track of your fiber prep and handspinning projects? It’s never too late to turn over a new leaf, and we have two new printable PDFs to help you keep track of the details that are easy to lose track of in the excitement of starting a new project. It may be called the Batt Planning Worksheet, but that doesn’t mean that you have to completely plan your project ahead of time. Spur-of-the-moment inspiration and happy accidents often lead to beautiful batts, but what happens later, when you want to try to re-create that magic? That’s where our free printable comes in handy: keep it nearby your carding station and make note of what fibers you’re adding while you work. Even if you fill it out right after the batt is complete, chances are you’ll remember specific details and techniques much better than, say, 6 months later when you’re racking your brain to remember which fibers were carded in which order. When it’s time to spin, we’ve got you covered, too! Tell us if this has ever happened to you: a handspun skein of yarn that you were saving for a special occasion has been lurking in your stash so long that you’ve long since forgotten the fiber content or how you spun it. Or perhaps the label you had made for it disappeared mysteriously. 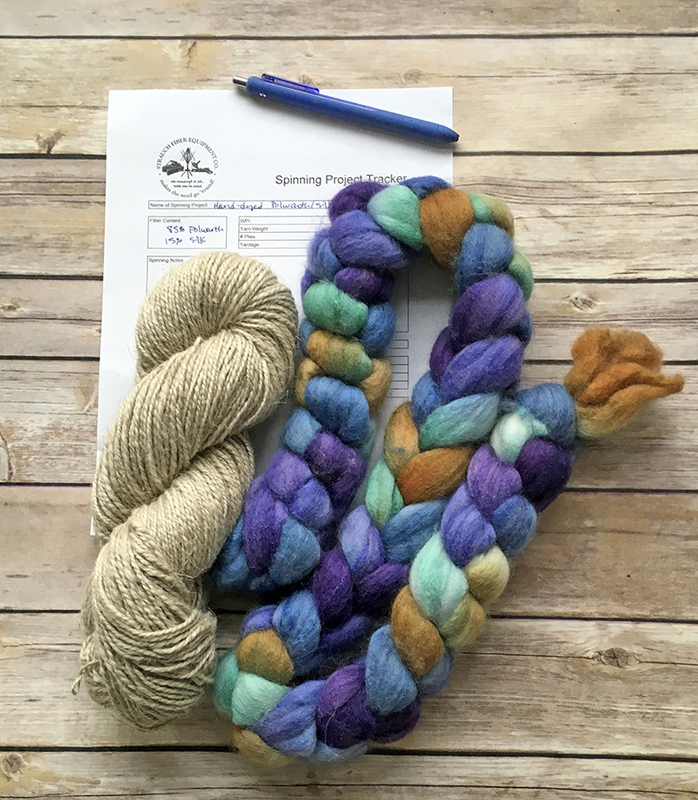 Here’s where keeping track of your spinning projects can come in handy: use our free Spinning Project Tracker worksheet to keep track of all the details for your handspinning project (and be sure to add some info that will jog your memory later on, such as a description of the colors or fibers). We’re offering both of these free PDF printables to our newsletter subscribers for free – click here to sign up and we’ll send them right to your inbox. Already subscribe to our newsletter? Check your inbox, we’ve sent you download links as a thank-you for being on our list. Like this post? Be sure to share it on Pinterest! This entry was posted in Carding, Fiber, Freebies, Handspinning and tagged batts, carding, fiber prep, free printables, freebies, handspinning. Bookmark the permalink.